Dr Guosheng Lin ia a research fellow with the ACRV based at the University of Adelaide working with Ian Reid and Chunhua Shen on project SV-2, Globally persistent visual recognition. 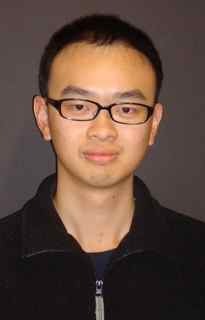 Guosheng completed his PhD, on machine learning for computer vision, at the University of Adelaide, primarily supervised by Chunhua Shen, David Suter and T-J Chin. He has an outstanding publication record with papers in CVPR 2014, ECCV 2014, ICCV 2013, T-PAMI, ICML 2013 (oral), ICIP 2013 and ACCV 2012. He has been working on several topics on computer vision and machine learning, including image retrieval, image segmentation, object detection, structured prediction and boosting methods. Guosheng’s future research with the ACRV will be on large scale recognition problems at the coarse and fine-grained level.